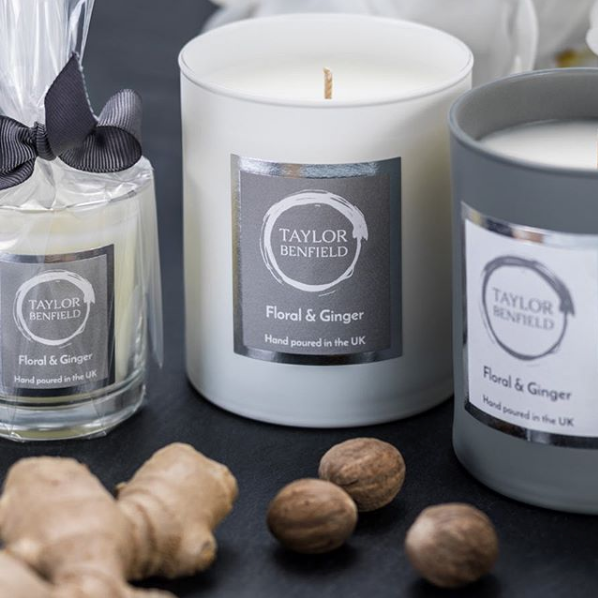 Taylor Benfield is a deliciously fragrant, luxury candle brand based in St Albans, Hertfordshire. Muddy says: Think you know candles? Think again. 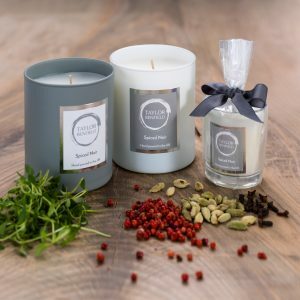 Taylor Benfield is a brand new boutique candle company based in St Albans. I’m not waxing lyrical, but it’s quite something to be able to enjoy armchair travel as you are transported around the world, all your senses a-flicker, with Ligurian citrus, Mallorcan orange blossom and Cephalonian wild flowers. Evocative, luxurious and delicious! 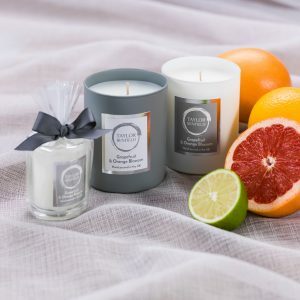 Taylor Benfield is a brand new lifestyle business based in St Albans, bringing far flung places to people in Herts in the form of beautiful candles. You might think that you’ve inhaled a few fragrant candles in your lifetime, and I certainly have, but I can confirm that when I breathed in the scent of Crimson Rose Oud, I was instantly transported to Marrakesh. The candles are exquisitely perfumed and packaged, and naturally they make wonderful gifts for best friends, mothers and daughters. Oh, and bridesmaids love them too! But surely you know that the essence of success in our contemporary busy lives is self-care? Go on – you know you deserve it! The candlemaker is Suzanne Taylor. She lives in St Albans but has a predilection for travelling to places near and far flung. Suzanne has created fragrances that are evocative of some of her favourite places. Expect to travel – by the glow of a Taylor Benfield candle – to Soller in Mallorca, Cephalonia, Indonesia, New York and Morocco, and you can always stop off in St Ives or on the north Norfolk coast along the way. The candles are top quality and utterly luxurious. They are delicious, indulgent treats. But as I said before, we know we’re worth it!